If you aren’t ready for a full-on track day, the Hopp Better Riding Day offers circuit-based training that will give you a taste of track life and improve your road riding. Coming from a motorcycling family, when I first started riding I was fortunate to have quite a few mentors offering tips and advice to make life easier. A few months after passing my test my uncle suggested we get some riding tuition on track. 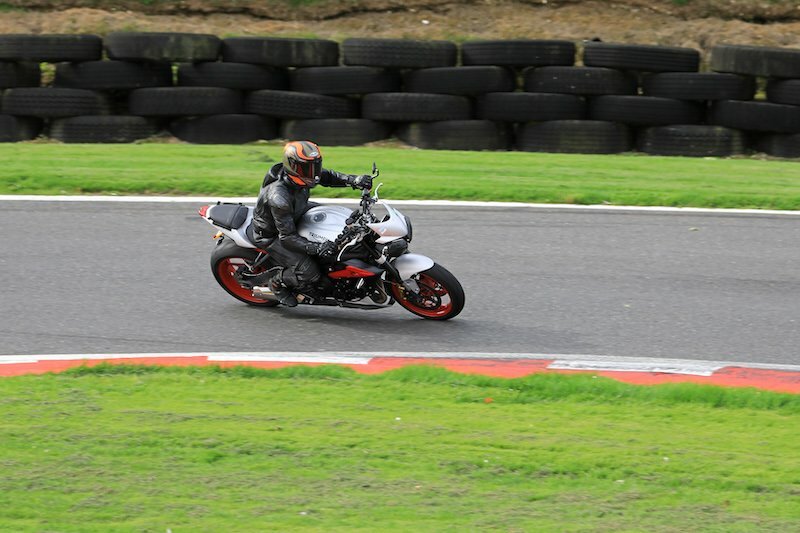 My initial apprehension of riding on a track – visions of riders piling up behind me as I 50-penced my way around – gave way to excitement and I thought why the hell not! The day my uncle recommended was the Hopp Better Riding Day, which is a learning day up at Cadwell Park in Lincolnshire. 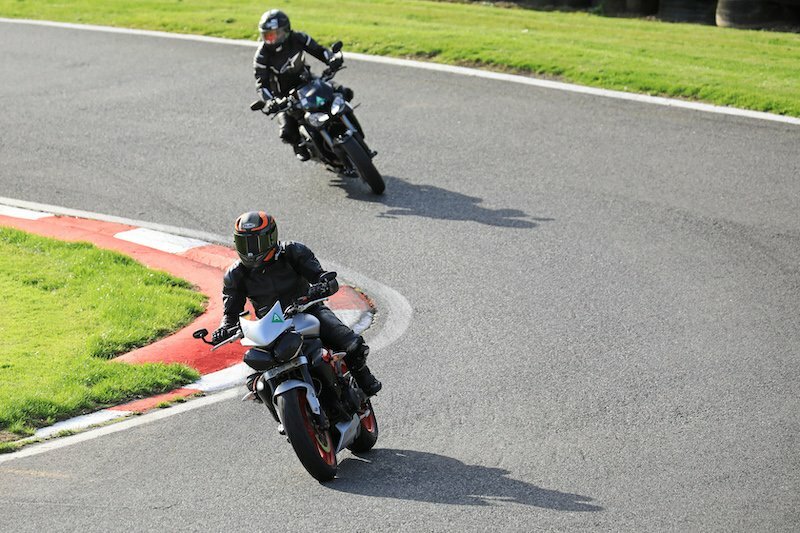 The Hopp day is entirely different from a usual track day as it is primarily designed for improving your road riding – but with plenty of practice on a super grippy track, no oncoming traffic, no lunatic riders or other such distractions. The morning is made up of a number of track sessions at a regulated pace, with feedback in between. In the afternoon there are further sessions as ‘free practice’ but still with set rules to make it as safe as possible. Because the event has such an excellent safety record, they are able to allow riders to wear textiles – something that is not possible on a standard track day, where full leathers are required. 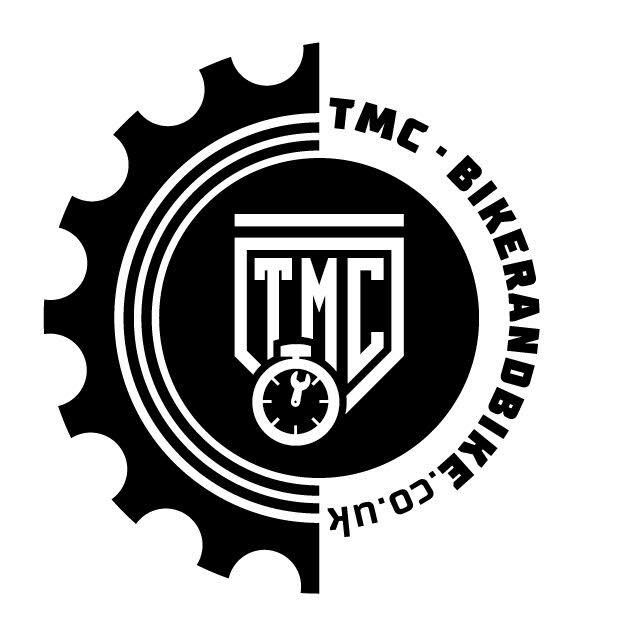 The day is run by Martin Hopp and his team of very experienced road riders, some of whom have racing experience too. I have now been three times and found that the instruction has been spot on every time – changing to suit my growing experience and riding ability. Because the circuit is quite a long way from home, and the day starts in the morning, I tend to ride up the night before, staying in a B&B locally. This allows me to head to the track for ‘signing on’ in plenty of time, feeling refreshed and with a decent breakfast on board. 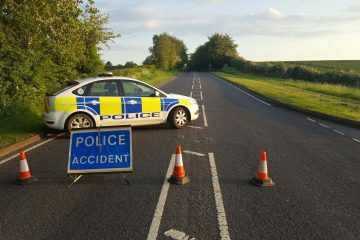 After the day, I ride back south on the motorway, which does make it a long day but saves taking another day off work. After signing on – which includes a noise test and bike check (no track bikes are allowed – only road bikes can be used) – the day begins with a group briefing from Martin and the team. It’s light-hearted but with some important messages, emphasising on safety. They explain how the track works in terms of marshalling and how the instruction will be delivered. The day caters for up to 60 riders which are split into two groups, A and B. The two groups are then divided into a further five mini-groups based on your expected pace. 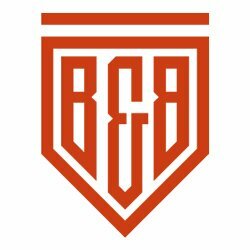 Each rider is allocated either A or B and from there it is up to them which of the mini-groups they choose. There is an opportunity to change between mini-groups throughout the morning sessions to find one that fits you. First up, group A riders are out on track – the mini-groups will head out with the fastest riders first, then the others following at intervals. Because the track is long, there is plenty of space for all five groups to ride together safely. During the first of the morning sessions, each rider takes it in turn to follow the instructor, so they can start to learn the lines. There are cones placed on the tipping in points and apexes of each corner to help you pick it up quicker. I found this really helpful, plus it stops you getting ‘lost’ on the track in the afternoon sessions! You do at least five laps, with every one of the five people in your mini-group getting a turn behind the instructor. As the session ends, the B groups will then take the place of the A groups on track. As the morning progresses, you do more and more laps in each session as the pace is slowly increased. © Joseph Bacon | The paddock looks busy but the structure of the day means you are not crowded by other bikes during the track training sessions. • Body position on the bike and using it to guide the bike around the corner. While this feedback was delivered for the track, it is also largely about better road riding. So although I did get some body-position feedback, it wasn’t how to get your knee down or techniques you may learn on dedicated track instruction events. Once both groups have been out, a similar process begins, except this time each rider takes a turn being followed by the instructor. At the beginning of each new lap, the front rider moves to the back and the next in line takes the lead position. Again, feedback is provided at the end of each 30-minute track session, of which there are 4 in the morning and 3 in the afternoon. Next comes lunch. The circuit facilities are good, better than the usual biker diner but alas, not exactly Michelin starred! But when you need the rest, you’re not expecting Duck à l’orange – a cup of tea and sandwich will do. Getting food and water in is crucial, as you’re not only burning calories riding, but the track day is extremely mentally draining too. This rest period also provides an opportunity to fill up with fuel but be warned, the track fuel might be higher octane but it is also pricey! I have done the day on a Z750, a BMW 1200 GS and a Street Triple, needing fuel at lunch on each occasion despite having a full tank at the beginning of the day. There are three sessions in the afternoon, and you have the opportunity to have more instruction if you wish. Otherwise, you are free to do laps as you please within your A or B sessions (30 minutes each, just like in the morning). The first couple of times I did this day I didn’t get any additional tuition and went out on my own. Although I had fun, I didn’t enjoy it as much as I could as I was always conscious of getting in the way of other quicker riders. 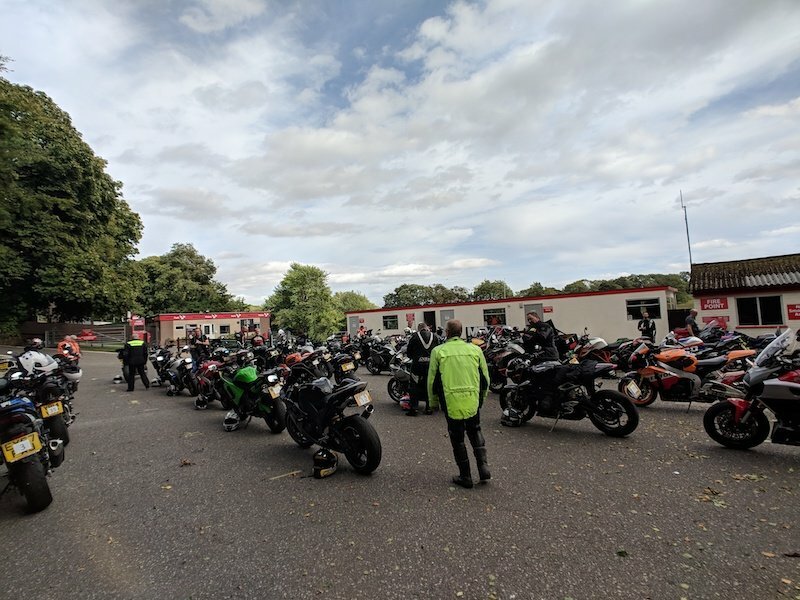 Fortunately, the afternoon sessions are slightly different to a standard track day in that passing another rider has to be at the invitation of the rider in front, by signalling they are moving over. 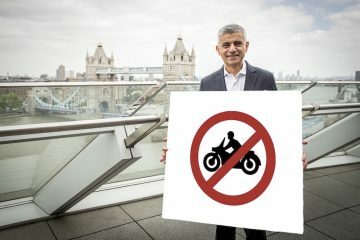 It is also generally only done on the two straights (with the start-finish straight being the only place you can overtake without permission from the rider you are passing). This stops you worrying about being overtaken in a bend when you are trying to put into practice what you learnt in the morning sessions. This year I decided to get my monies worth and had instruction throughout the afternoon as well. This turned out to be a great decision, and it meant I could work on specific corners in each session, getting feedback directly after each session from the instructor. Cadwell as a track is a lot of fun, being sited on former parkland across a steep-sided valley with dips and crests. The circuit also features sharp changes in gradient. In between these sessions I attended talks on the track, picking up tips on getting better lines for each of the corners. All of this additional help really made me enjoy the afternoon more and I’ll do it again next time I go. And yes, even though I have now been three times, I will still keep going back! Verdict: The Hopp Better Riding Day is highly recommended if you want to do a more controlled type of track day, that will also give you skills you can interpret for road use. Hopp Better Riding Day sessions are popular and Martin and his team only run them twice a year, once in May and the other in September. Booking opens early January and will sell out for the May session in a couple of hours. They can be found on Facebook and also at their website. Joe started riding five years ago after getting the bug many years before, riding pillion on his dad's BMW on a trip through the Pyrenees. 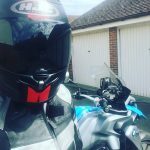 Since passing his test he is now well and truly hooked and has done as much riding as he can; European trips, commuting, off-roading, advanced riding, track days and now leads rides for a London based club. His bike history started with a 125cc Honda Varedero which gave way to a Kawasaki Z750s once he passed his test. 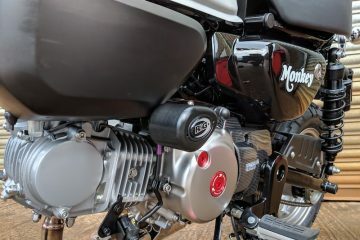 This was replaced by a Yamaha MT07 in 2015. 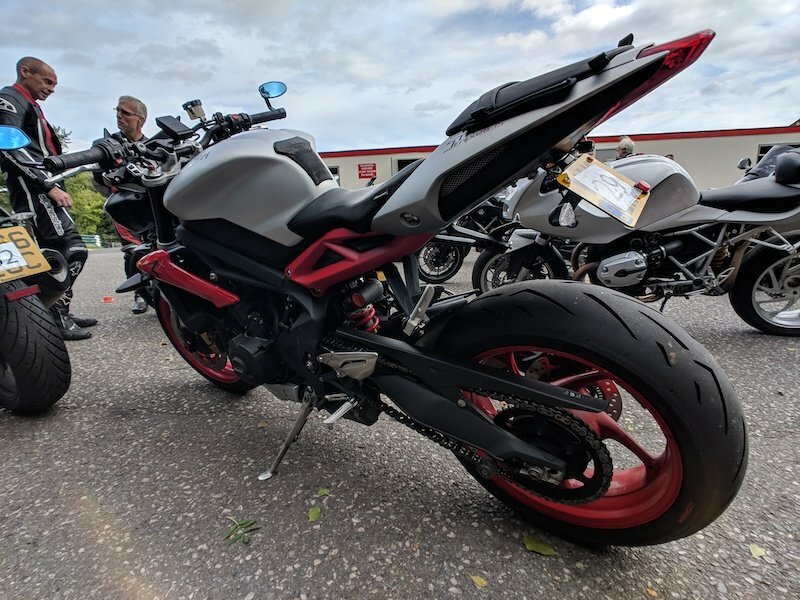 A Triumph Sprint ST was bought as a second bike but after not getting on with this he traded in both for a 2013 BMW R1200 GS, probably being one of the youngest owners, at 33, given the normal stereotype of owners! Currently, he rides a 2016 Street Triple RS.